The birth of my nephew--the second child of my brother and sister-in-law--took some time to happen, when it came down to it. I talked to my brother shortly after the eventual arrival of his son, and new-dad-second-time-around commented that he and my SIL had racked up some sleep debt waiting for the grand event. "He's just been born," my brother said, "and we're already in the hole." "You are a parent," I told him. "You will NEVER get out of the hole." 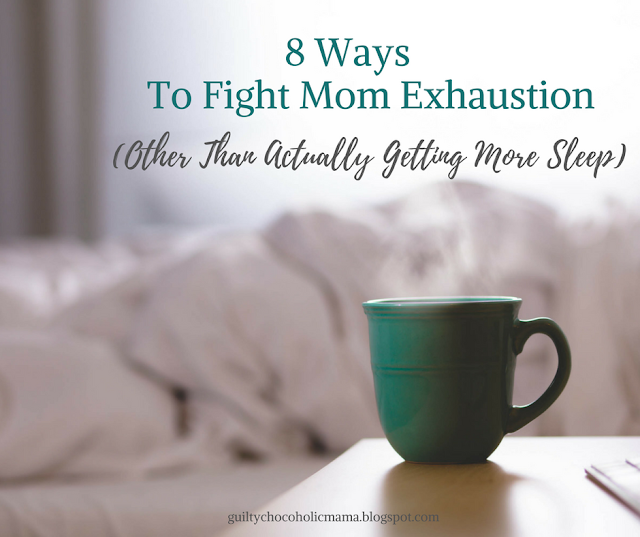 I just love (insert dripping sarcasm) articles that advise moms to combat exhaustion by getting more sleep. People, please. We know we need sleep. We know this has to be a priority for our own good and the good of our families. We know there is no substitute for adequate rest. But if the care and keeping of the human race depended on moms being well-rested, we'd all have become extinct generations ago. 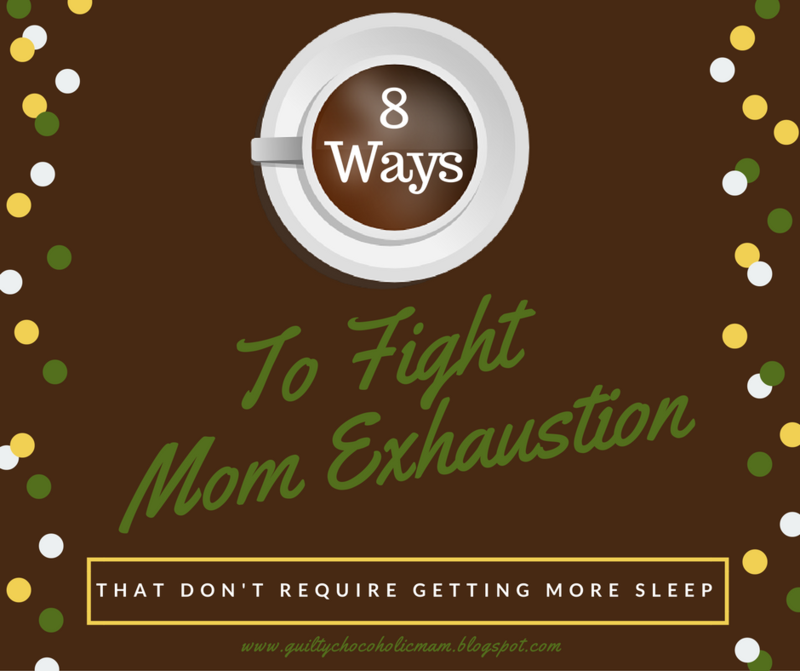 Instead, moms rely on a few time-tested tips and tricks for powering through days in a daze of exhaustion. Here are eight standbys that have kept me going for almost two decades. 1. Daylight. Get yourself outside, mama, and look toward the horizon. Don't look directly at the sun, of course, but look to the light and open your eyes wide to let it in. While I do this, I like to say, in my most convincing voice, "I am well-rested and got a great night's sleep!" --in hopes of tricking my brain into coming on board with this line of thinking. My Dr. Mom take on this is that natural (outdoor) light travels in through your eyes and gets to work on your brain and your body's circadian rhythms...your personal internal clock. Natural light (as opposed to artificial indoor light) tells your brain and body, "It's time to be awake! Being awake is what is supposed to happen right now! Awake is how you want to be!" 2. Exercise. If you've read the little bio blurb near the top of this page, you know I am the former president of SAG (Students Against Gym) and the LAST person in the world who's going to tell you that a nice 7-mile run is better than any amount of sleep. And I know that using energy to get energy might seem like crazy-talk. But getting yourself moving really does help fight mom exhaustion better than almost anything else, and you don't have to like doing it for it to work. I'm not talking about training for a marathon here. I will, in fact, never be talking about training for a marathon here. (If that's your thing, God bless you. It's just not my thing. It couldn't actually be more an unthing to me.) Just move somehow. Do jumping jacks in the living room. Dance with your baby. Go outside and put one foot in front of the other and try to work up to a pace where conversation would be challenging. (Given the sleep debt that got you out there in the first place, conversation might already have been challenging, but you know what I mean.) Tell yourself you'll give it 10 minutes and then you can quit if you want to. If you've never gotten in the habit of regular exercise, it will probably take some fits and starts to make it something you don't have to decide about every day. Just keep on keeping on. The habit will come, and it will be worth it. Not only will you feel more alert, but expert-type people are always saying exercise is the surest cure-all for, oh, everything that ails the human race. And remember what I said: you don't have to like doing it for it to work. 4. Coffee (or green tea). I took up coffee when I had my second child and gave up sleeping. In the interest of full disclosure, I do not so much drink coffee as I drink coffee-flavored creamer. For me, coffee is a caffeine delivery system. I know my sugar-free French vanilla creamer is evil, but there are worse kinds of evil, like me without my daily cup of caffeinated comfort. I do have to jump in here with this bit of scientific justification from Chris Kilham, founder of Medicine Hunter, Inc. (www.medicinehunter.com), who says about coffee that "aside from water, it's the healthiest beverage you can drink" (Real Simple magazine, June 2015). Coffee's caffeine plus its antioxidants and magnesium ups heart health, reduces the risk of various cancers and neurodegenerative disorders, and cuts your chances of developing type 2 diabetes. That's all I'm saying. If coffee doesn't work for you, green tea also offers an energy boost with benefits. 5. Peppermint oil. Prized for its powers of invigoration. I'm sure essential oil fans will chime in with options for accessing these powers, but in the meantime, here are a couple things you can pick up next time you run out to the drug store. 6. Laughter. Being tired is stressful. Laughter reduces and releases stress. It'll come as no surprise to anyone who's read my blog before (thanks, mom!) that I recommend starting with Anita Renfroe and Tim Hawkins. 7. Deep breathing. When your breathing becomes shallow, you end up with "bad air" floating around your system. And when you are chronically exhausted (see "motherhood"), the last thing you need is more bad anything. Force yourself to fully exhale through your mouth, then breathe in slowly through your nose. Hold that breath for a few seconds, then exhale fully again. Bad air out, good air in. I'm not saying this is any kind of substitute for 8 hours of uninterrupted, REM-cycle sleep, but as with hydration, you've got to help your body out as much as you can while you're asking it to work overtime for 18 years straight. 8. Chocolate. If there's a way for me to include chocolate in a list here on Guilty Chocoholic Mama, I'm going to do it. But this is legit: caffeine plus flavonoids plus antioxidants plus mood-enhancing powers. It's your call, of course, but if I'm going to have to give up sleep, I'm going to fill in at least a few of the gaps with extra helpings of my favorite food group. 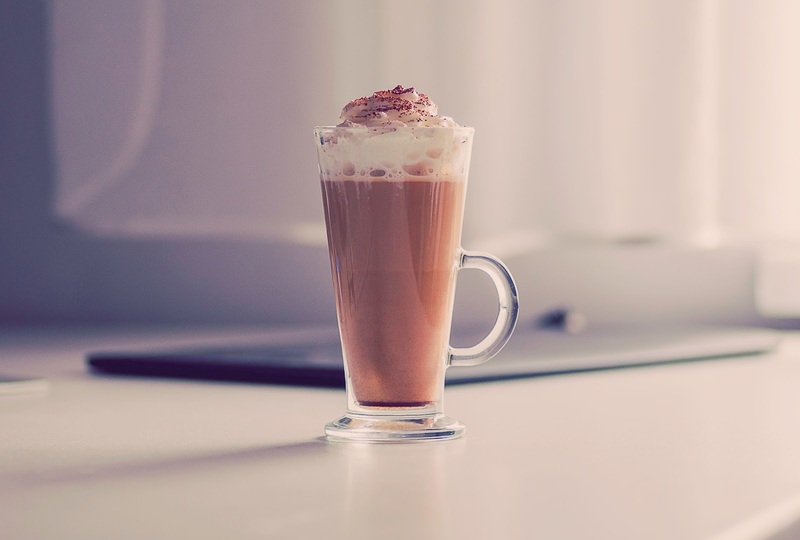 I'll leave you with this recipe for my favorite "Mama Mocha." It hits chocolate and caffeine and hydration. If I breathe deeply in between sips and drink it while I stand outside looking wide-eyed at the horizon, I just might be able to make it to my next nap. Get your milk piping hot. In a mug, mix the rest of the ingredients. Gradually stir in the hot milk, then whip it around with a fork to froth it a little. Decorate if/as desired. What are your best energizing tips, mama? Share them here in a comment or over on Facebook. And someday soon, may a full night's sleep be yours. Haha you will never get out of the hole - skippy that! I agree with your 8! 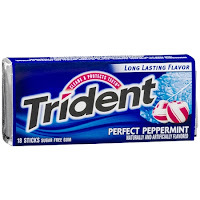 Now I realize why I was hooked on peppermint for so long - it pepped me up! Wow, I love that peppermint endorsement, Amanda! I didn't know its perk-up powers, either until I read about it somewhere. ((I just knew it was killer with chocolate! )And I am WITH YOU, honey, in the sleep-deprivation hole. I've gotten pretty used to it down here. Just sippin' my coffee and breathin' deeply...;) Thanks so much for stopping by! Aw, thank you so much for your kind-as-always words and for sharing this! I was not up until 2 a.m. writing it. I was up till 11:30 p.m. working on a new online Bible study group I'm facilitating. I don't really know what I'm doing with it, so it's a lot like blogging that way! ;) But if I'm reading your comment right and you were up till 2 a.m. writing a blog post, I cannot WAIT to read it! Bless you, my sweet friend! Smiled at #8 -- as if we even need to be reminded!! Thanks for persevering! Hahahaha, Michele...I must stay true to my calling and my mission! ;) Thanks so much for stopping by! I love chocolate and coffee, too, but I would add that it is so important to eat right. Making sure you get fresh fruits and veggies, whole grains, etc. (not just eating what is handy) helps a lot. Oh, mama...you're just so tired! But you are right on both counts in your comment: it IS a small price to pay for the privilege of mothering these energetic little people, and we do indeed need to fuel up our sleep-deprived bodies! GREAT addition to the list. It makes me glad I mainlined edamame last night while I was working at the computer. Thanks for taking time to stop by and add to this list! Here's to you getting a nap sometime...soon?! These are practical and helpful tips - much needed after the late nights coming home from ball games and choir performances and all other teen-related activities!! 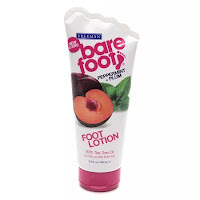 I think I need to try out that foot lotion...and I can always count on Anita Renfroe and Tim Hawkins to upgrade my mood! 1) " I do not so much drink coffee as I drink coffee-flavored creamer." <<< you couldn't have describe my coffee preferences any better! I just started drinking coffee a few weeks ago, when my daughter started preschool (I seriously underestimated the power of toddler and the monster known as getting ready for school mornings...). But seeing as I like how the coffee smells and not so much how they taste, I drown it in milk and sugar--and let it sit for a bit before drinking--juuust to make the coffee taste is safely subdued. 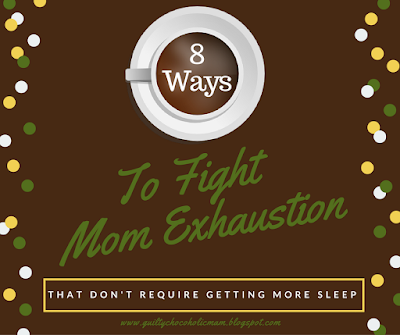 2) "I just love (insert dripping sarcasm) articles that advise moms to combat exhaustion by getting more sleep. People, please. We know we need sleep" <<< my EXACT inner monologue whenever I read an article about moms getting more rest. Oh, Maria...my soul sister! I think I took up coffee about the time my first daughter started preschool, too. "Monster" is a good way to describe school mornings! Mostly what I'm like on them, but in other ways, too... I heartily "amen" every word you wrote about coffee. And I can hear your inner voice responding much as I do to those "duh, no kidding" articles about how moms need more rest. I'm sorry, and I truly don't mean to stereotype, but I think some of the experts who write that sort of advice must be men who get 8 hours of sleep a night. Thanks for making my day with your lovely and hilarious feedback. I just finally subscribed to your blog so I can better keep up with you...a long-overdue action, to be sure! Bless you, tired-but-wonderful mama! These aren't often realistic for me, as I'm fortunate to ever go into the bathroom by myself at any given time! YES, Jessica! Great ideas. Or, great dreams, given the realities of time in the bathroom you are SO right about. ;) But, a mom can dream, can't she? Thanks so much for stopping by! I've gotten so bad at the hydrate and exercise thing. I'm actually headed to my first ever Zumba class tonight in an attempt to not only get exercise but escape for the 3 needy people I live with (yes, I said it. lol). I know that I need a glass of water or juice or even milk before I have my cup of coffee in the morning but some days that is sooooo hard. Oh, Julie, I know what you mean! The very act of getting a glass of water can seem so overwhelming when there's so much else to do, to say nothing of the monumental effort of exercise! But that Zumba class sounds like JUST the thing...not only for your benefit but also for the trickle-down benefit of those needy (so glad you said it...I've got 3 like that myself) but precious people you live with. 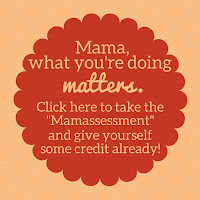 Keep on keepin' on, mama! Amusing AND useful tips for parenting on sleep fumes. (Did anyone else start deep breathing when they hit that paragraph?) Too sweet not to tweet. Elizabeth, it's amazing how chocolate is the cure all for anything that ails you. :) You know, a teacher friend of mine told about how sighing is a stress reliever. The last two years of teaching I sighed quite a bit. I even had students doing it because they heard me several times through out the day. One little girl commented on how she felt better after it. All I could do was smile because first graders should not be under any stress. Thanks for sharing this great list with Thankful Thursdays. OH. MY. GOODNESS, Lori. I am a MAJOR sigh-er, so that is JUST so interesting! I've always felt bad about it (and it is true that I relate so well to and love so dearly this verse from Isaiah 35:10 ~ "Gladness and joy will overtake them and sorrow and sighing will flee away"). But I love this new way of looking at it...maybe I don't have to entirely give up my sighing habit after all. I'll just call it deep breathing/stress relief! Thanks so much for being such a dedicated Thankful Thursdays party hostess! Hi, thanks for sharing. I haven't tried peppermint oil to fight exhaustion but I'm curious to try! So lots of cups of coffee for me today. Oh my...you should have called me! I was up at 4:15 with Restless Brain Syndrome. ;) (A side effect of the condition known as Having Teenagers.) Coffee is on for me, too. Thanks so much for stopping by! Great post! Of course chocolate should be on the list! Heehee...thank you, Debbie! Clearly, in spite of what I assume is epic sleep deprivation, you still have your mental faculties about you and know what the essentials are. ;) Thanks so much for taking time to stop by! Thank you, Kayleigh! 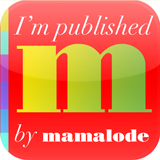 (Love your blog name, BTW...must check it out in a minute.) And just so you know: your favorites here are also mine. ;) Thank you for stopping by! Aw, thank you so much!Bless your heart! 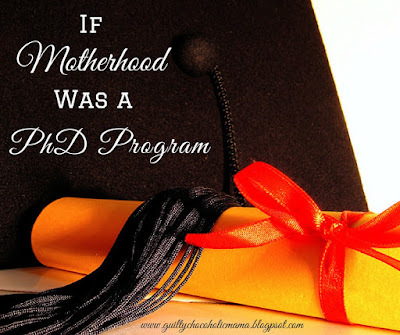 It's funny: this is the most popular post I've ever put up...not because it's necessarily the best thing I've ever written, but because moms are just so tired! Alas, we are the sisterhood of the exhausted. ;) Thank you so much for the lovely honor of being a C&C feature! Hi, Roseann! Thank you for proving my point about the mom exhaustion hole. ;) Good thing our kids are so worth it! Thanks so much for hosting The Blogger's Pit Stop!